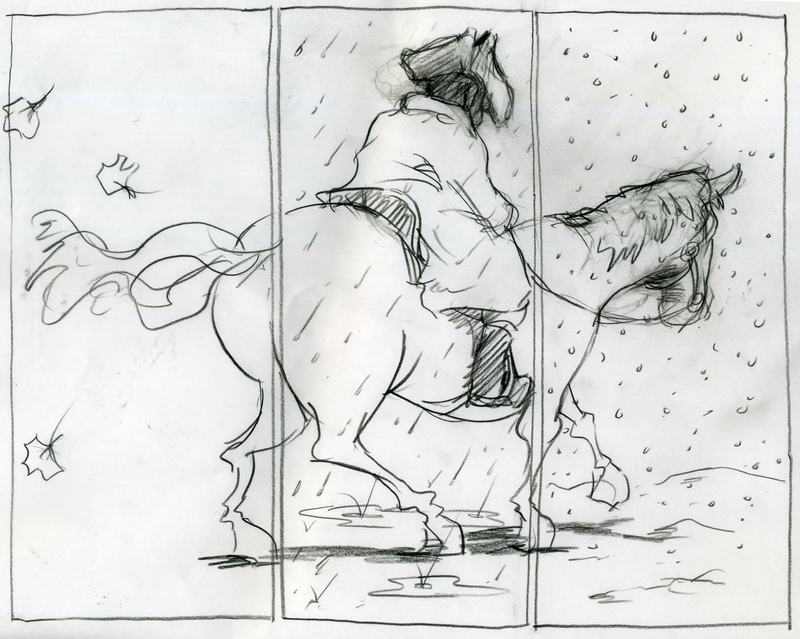 “Covering forty miles a day for a week of hard riding on horseback, he was rain soaked, windblown, and frozen. The trip was nothing like selling books. This week in my Kirkus column? Tricia Springstubb’s Phoebe & Digger, illustrated by Jeff Newman. That link is here. 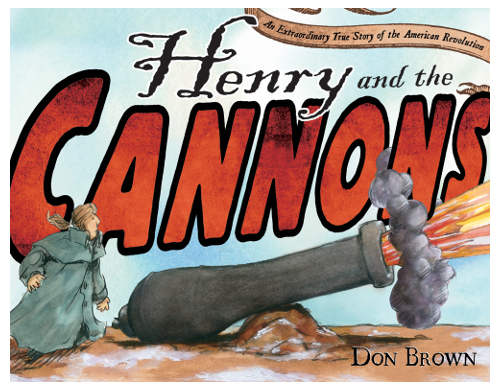 Last week I wrote here about Don Brown’s Henry and the Cannons: An Extraordinary True Story of the American Revolution (Roaring Brook, January 2013). Today Don is sharing some early sketches (one is above) and final art from the book. 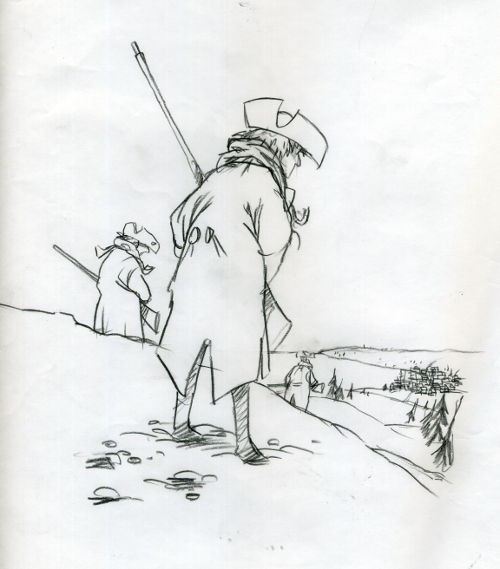 “Certain the snow would return, Henry decided to scout the route ahead. 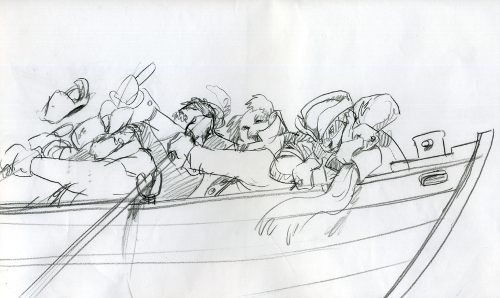 HENRY AND THE CANNONS: AN EXTRAORDINARY TRUE STORY OF THE AMERICAN REVOLUTION. Copyright © 2013 by Don Brown. Published by Roaring Brook Press, New York. All images here used with permission of Don Brown and the publisher. Love seeing the pencil sketches, as you really see the beauty of his page compositions. Lovely work–thank you for posting!